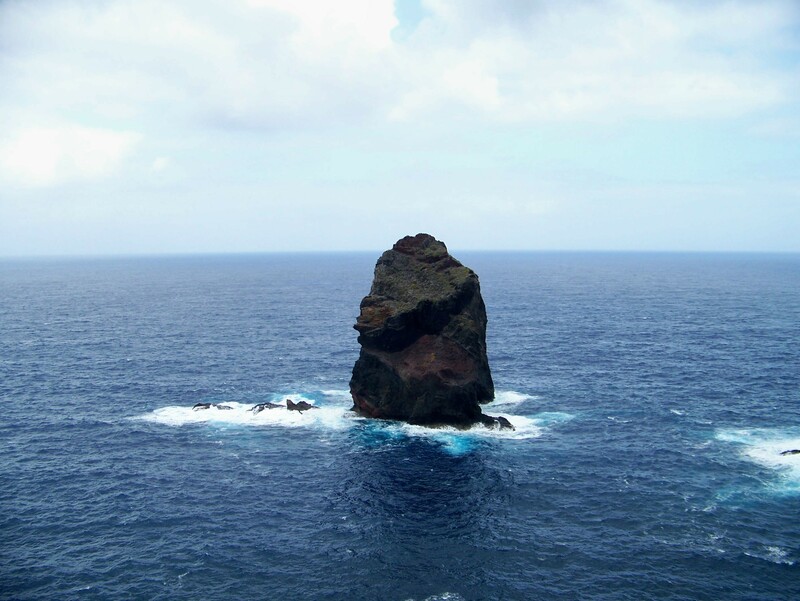 Madeira: So Let Me Get Right to the Point . . . THE sea is scary because it’s deep and stretches for ever. No one has been to the bottom and returned alive. No one knows just what exactly is lurking down there. The sea sinks ships, crashes against the land and eats it away, then when the sun comes out we spread towels on the beach and sit by it. But today there are no beaches – just cliffs plunging straight into the foaming Atlantic and a crazy path skirting along the crest like a rollercoaster that’s taking us into the east . . .
Coastal walks are strange things. They have no summit cairn to crouch behind while clutching a map that’s quickly turning to pulp. But they do have their attractions, and no one has been more impressed than me by the coastal section of the Cleveland Way, which is an absolute delight, not to mention the final day’s march of the Cape Wrath Trail to the most north-westerly tip of the British mainland. Still, it’s going to take a bit more than that to convert me to coastal paths and lure me away from the mountains. Today’s venture is a coastal walk in cliff-girdled Madeira, an island paradise discovered by Portuguese seafarers in the early 15th Century. There’s no summit cairn, no threat of low cloud, and no midges. 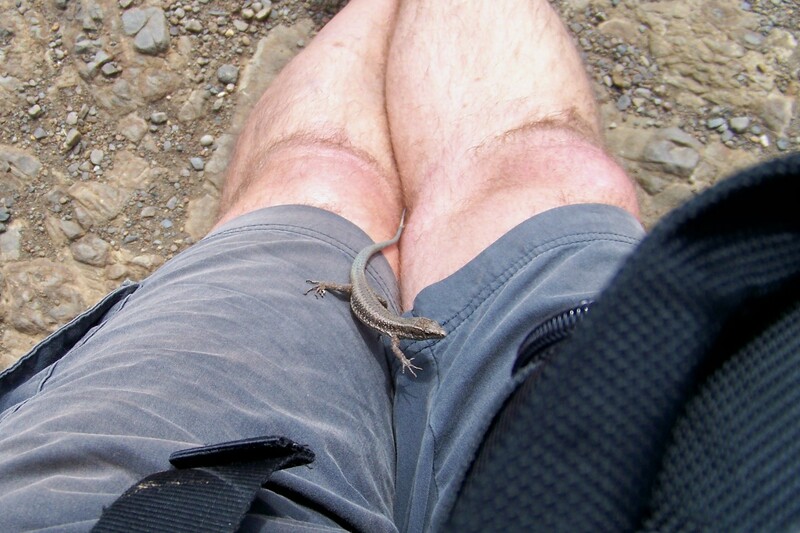 But there are lizards everywhere, and if you sit down on the rocks they shoot up the leg of your shorts. No kidding. That keeps you on your toes, I’ll tell you. 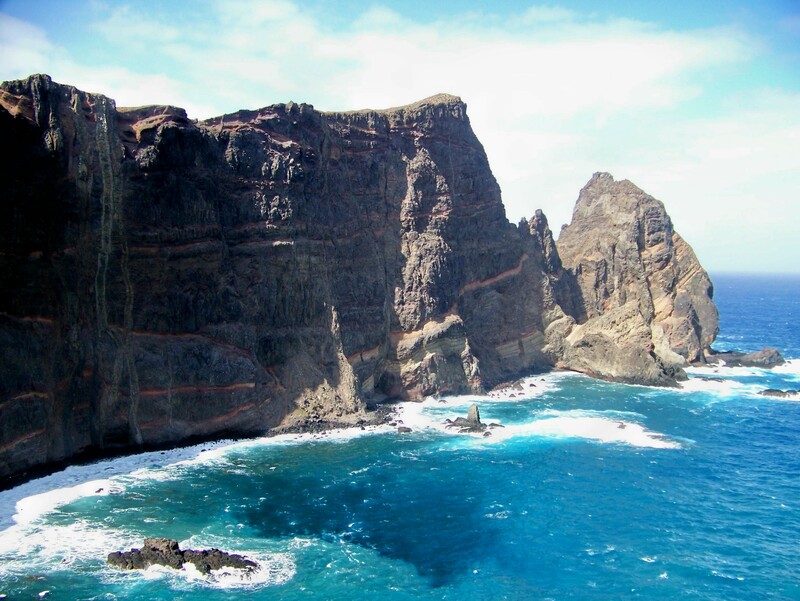 The Ponta São Lourenço is the shattered, battered easternmost point of Madeira, a place of sheer cliffs, rocky coves and jagged edges. And that’s what this place is – shattered and battered by the raging winds and waves of the Atlantic. 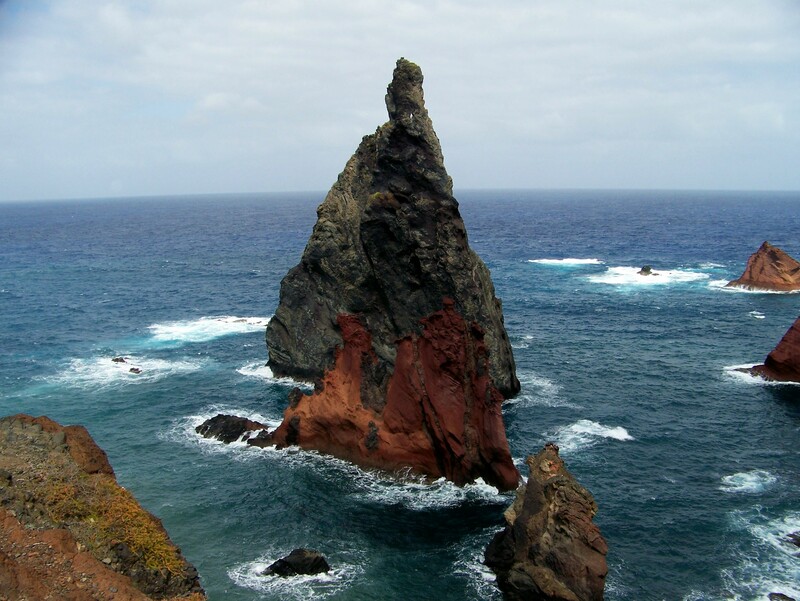 On its northern side, its cliffs and stacks rise vertically from the ocean in red and brown and grey. 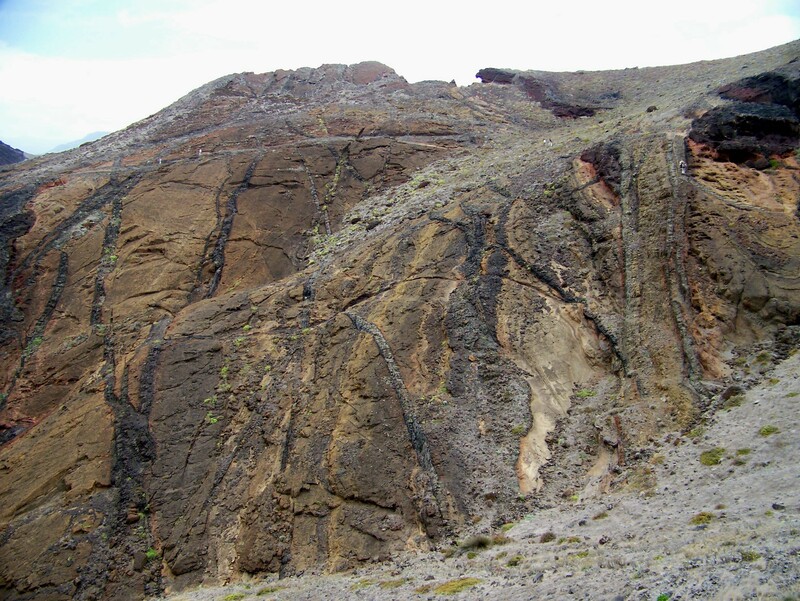 These volcanic rocks are geology at its rawest. They are the basic building blocks of our world and are laid out before us like a gigantic text book to plod across and read at will. 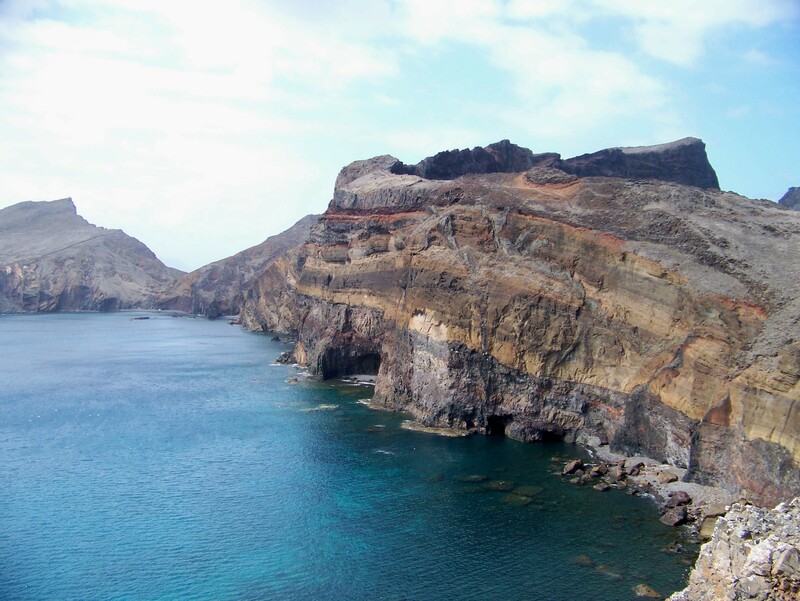 I stand on the very edge of this peninsula and look down between my feet into the rolling white waves and the inky blue gulfs between them and think: Jesus – this cliff is actually part of the upper slopes of a volcano that has its roots six kilometres down on the bed of the Atlantic. There’s a lot of scary sea down there. Best keep to the path. My wife’s come with me today – for the first time in years. In fact, it’s the first time since we fell out on Croagh Patrick in 1999 and she waltzed off with the sandwiches, leaving me surrounded by startled nuns. So I’ve got my work cut out trying to keep her entertained. I’ve told her this walk is “flat”, which in walking terms it is. But she’s taken me literally, glanced at the undulating clifftops, and said something that couldn’t possibly be translated into Portuguese, even with the help of one of those dodgy internet sites (according to Paddy boy, there’s a total of 1,475ft of ascent on this walk. That’s flat. Well . . . flattish). I realise the absurdity of these words as they are leaving my mouth. I can tell she’s just being awkward. But she won’t push it too far because today I’m carrying the sandwiches. She is silent for the remainder of the walk while she digests this information. I don’t know whether this is a good thing or not. And to tell you the truth, I feel a bit guilty because I’m not sure that a single word of what I have just said has any basis in scientific fact. 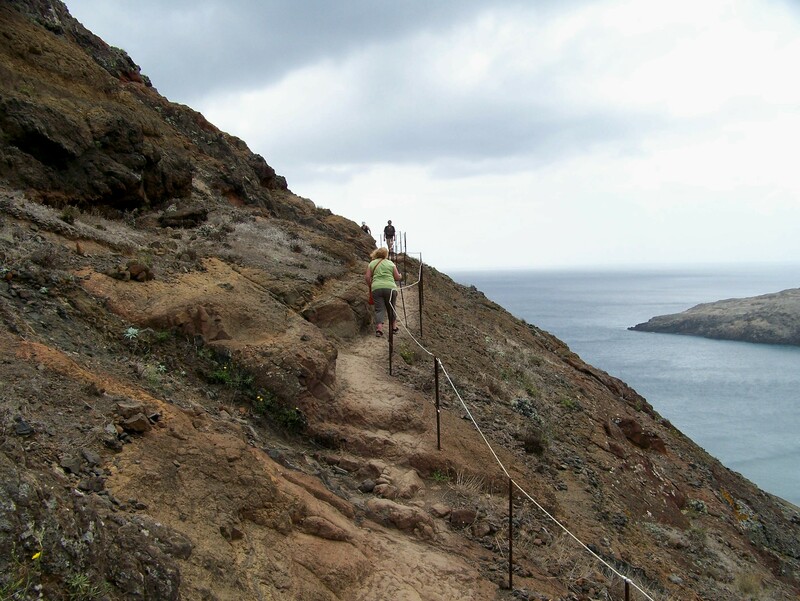 So we walk along dusty paths to a knobbly red hill at the end of the peninsula, gaze in awe at the islands beyond, and walk all the way back in gusting wind and searing heat, surrounded by what must surely be some of the most dramatic coastal scenery in the world. On the long drive to our holiday cottage in Prazeres we stop at a seaside restaurant in Ribeira Brava for fish soup, barbecued scabbard fish on skewers and pasta with yet more fish, while the Atlantic rolls against black volcanic rocks only a few feet from our table. There is something extremely satisfying about sitting in the shade of palm trees and eating a meal composed almost entirely of fish after an afternoon spent walking above the crashing waves of a mighty ocean. It possesses a certain symmetry. It feels right. It’s that hunter-gatherer thing surfacing again. When by the sea, eat fish. Fish good. And as the sun goes down and the moon rises to shimmer on the waves, I am tempted to revise my opinion of coastal walks. Perhaps they are something that needs more attention. Perhaps I am missing out on experiences that would bring me a richer and more fulfilled life. Perhaps I’ll look into it when I get home. Do they have palm trees on the Solway Firth? 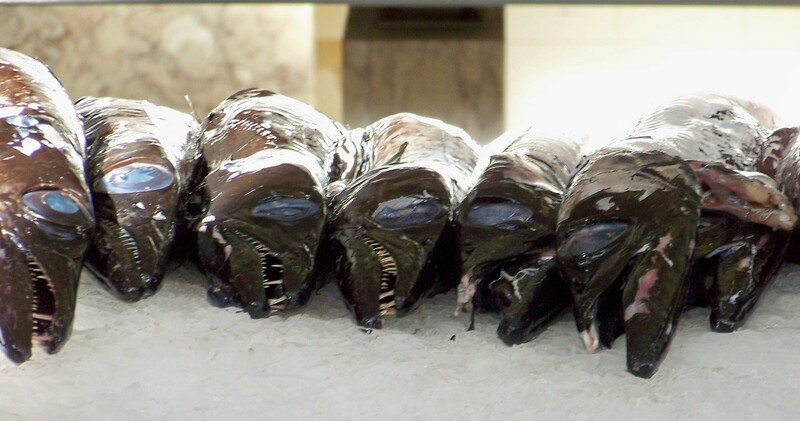 Scabbard fish is to Madeira what cod is to Britain – it’s everywhere and everyone eats it. As fish go, it’s pretty damned ugly. But, hey, have you ever seen a good looking one? 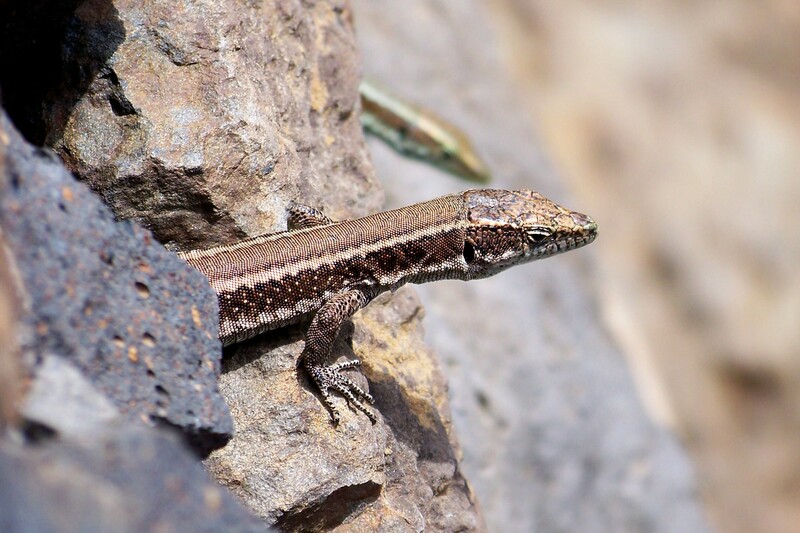 This entry was posted in Cookery, Environment, Food, Geology, Hiking, Mountains, Walking and tagged Cape Wrath Trail, Madeira. Bookmark the permalink. 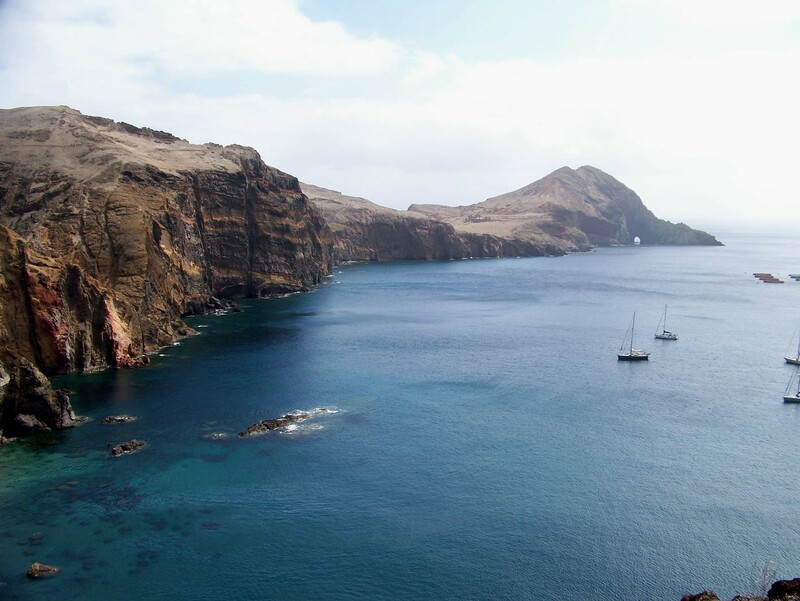 16 Responses to Madeira: So Let Me Get Right to the Point . . .
Great pictures, althought those fish really are ugly! And very true what you said about the sea; the exact reason I never venture too far out. Who knows what’s out there! We don’t know what’s down there, Alyse. But whatever it is, it wants to eat us. “So let me get right to the point” – very Shirley Basalt. And will Mrs M be coming on any more ‘flat’ walks? Shirley Basalt. Very good. I wish I’d thought of that. I think Mrs M would prefer to be in the company of a big spender. So that counts me out, Alan. Off to visit my sister in law in Spain next week so hopefully will get a sunny day on the hill over there to compensate for the drabness that seems to have enshrouded Scotland this summer. Cheers Alex. I would imagine that Spain at this time of year is glorious. Have a great time. Yet another fantasic read, loved the pictures of the sea stacks, what a sight they must of been, Ive always loved the sea & temptation is growing to find a great path here in northern England, Im sure they are plenty. Thanks Paul. I’ve got a feeling you won’t have your feet up for long. It’ll be interesting to see what you come up with. The Cleveland Way is the only one I’m familiar with – half moorland, half sea cliffs – and I was well impressed with that. There might be a Cumbrian coastal route but I’m not sure. It might be a cycle route. I echo Sharkeys comment “another fantastic read”. 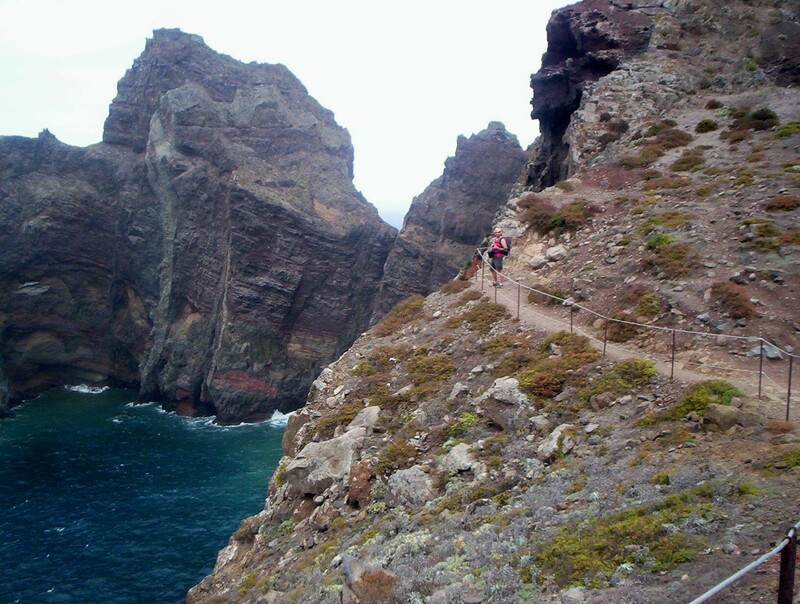 Madeira certainly seems a walker’s paradise with mountain and coastal walks aplenty. I still think the coastal walks of NW Scotland will take some beating though. They do have palm trees in the Solway Firth (well in peoples gardens anyway) and there are some great coastal walks too. Believe it or not the sun sometimes shines as well. David, I once walked out to that memorial in the Solway Firth where Edward I died from dysentery during his wars with the Scots. There was a sort of melancholy wildness about the place – and the sun didn’t shine. Perhaps that put me off. However, having glanced at Multimap I will concede that there is potential for some great walking. I’ll add it to my list of things to do because the area is rich in history and any excursion will certainly be interesting. NW Scotland sounds more like it. I don’t think I’ll need my shorts, though – despite the fact there are definitely palm trees in Ullapool. 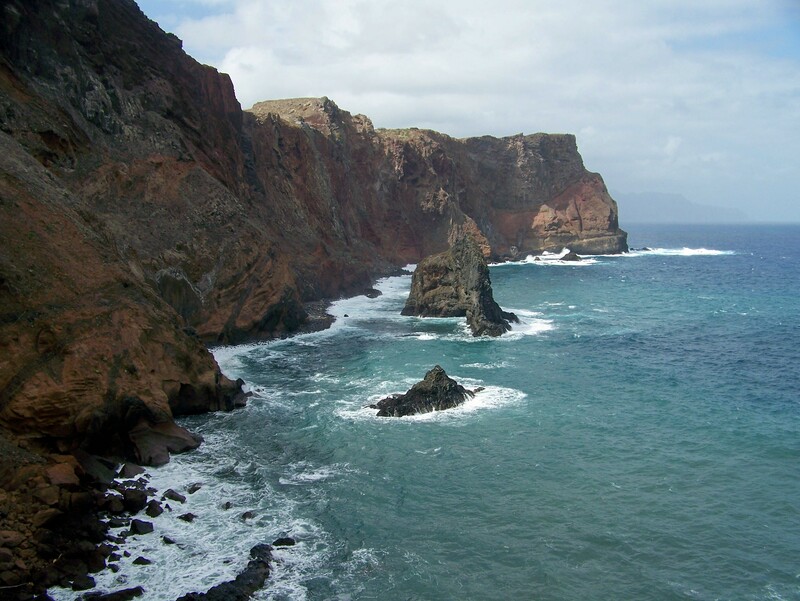 It is lovely to see a report of Madeira through a walker eyes. 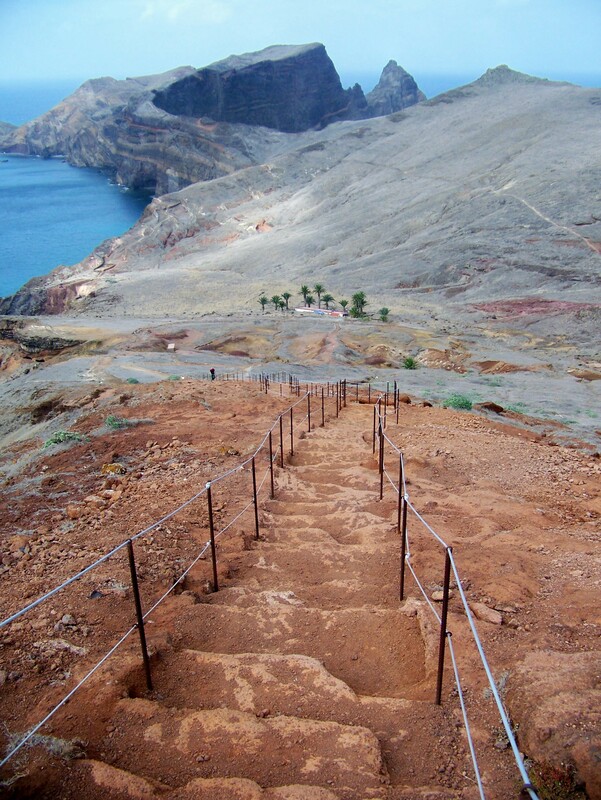 We visited the island about 7 years ago and thought it a great destination for a walking holiday. We did this flat’ walk to the point and also a walk somewhere in the central ridge similar to yours. 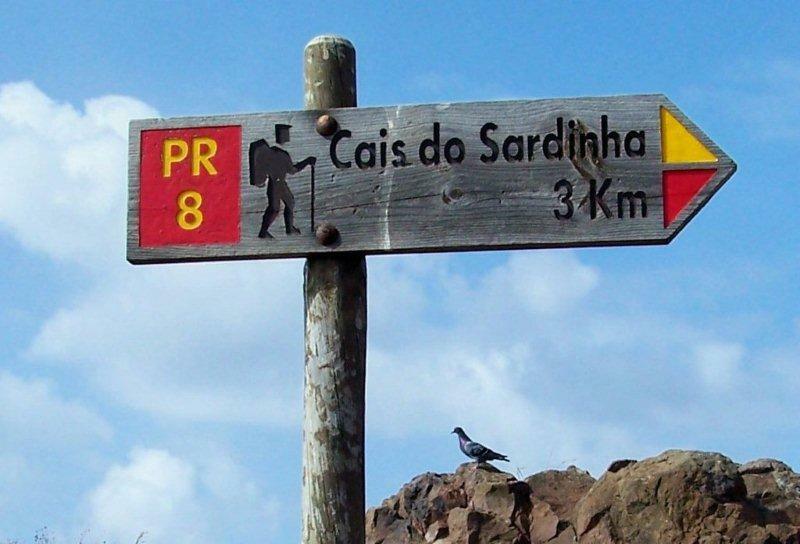 I don’t remember the route accurately, – I’d have to look at the map or guidebook (we used the Sunflower walking guide) – but I see from the photos that we went to Pico Ruivo, amongst other places on this long walk. We started early and had freezing temperatures at height until the sun came over the ridge about 9 am and the photos also show a wee, tiny bit of snow on the ground at the top. We went in January and this gave superb walking temperatures. 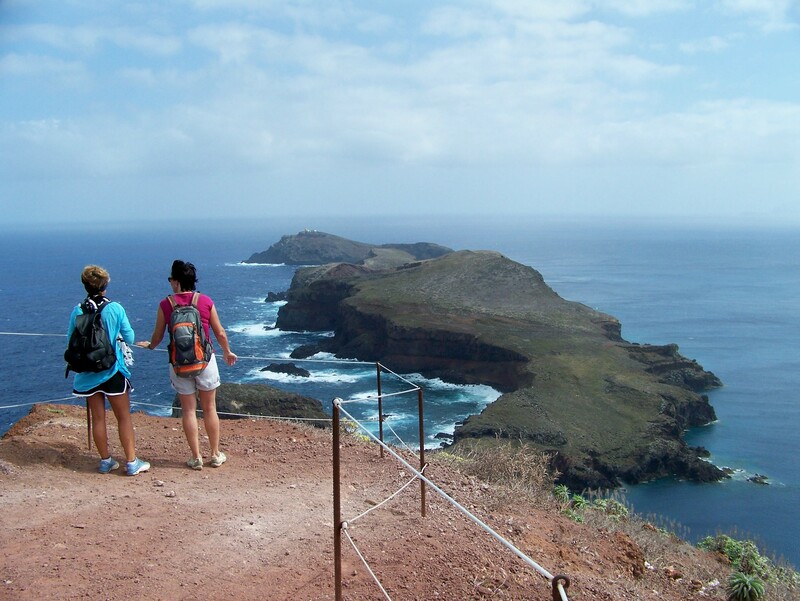 I really enjoyed the lavada walks too. . Cheers Sheila. I can’t imagine snow on the tops in Madeira – it is so hot there, just like the middle of our summer only at the end of October. 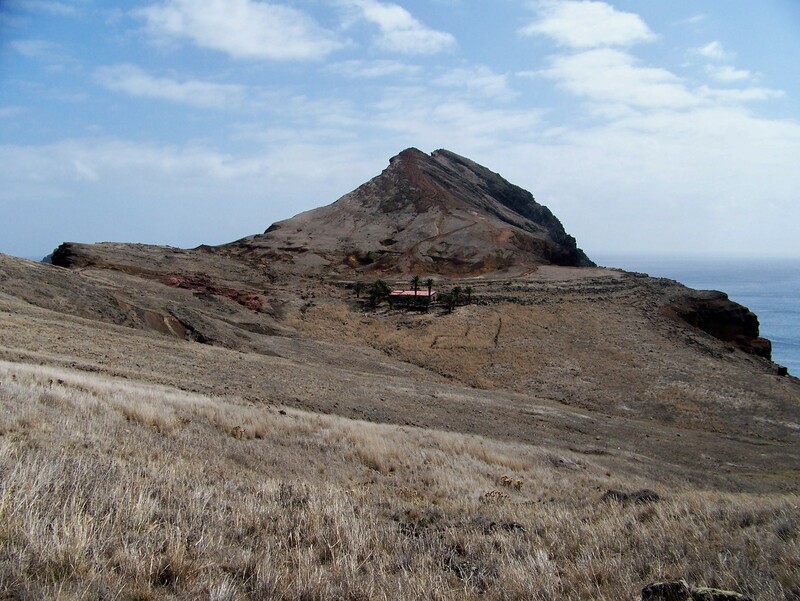 Pico do Areiero to Pico Ruivo is my next and penultimate post. What a fantastic walk that is. 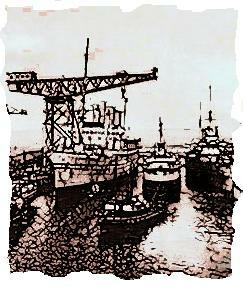 I’m sorting the pictures out at the moment and hope to get it finished early next week. Funnily enough, my wife was quite happy with the words, but we had a bit of a barny over which pictures of her I could use. I saw that cove you went swimming in, John, and the water looked extremely inviting. If I’d had my rubber ring with me I’d have gone in. Amazing pictures! the sea does look scary but I find it to be even more fascinating. Whenever I visit a cliff, i just can help but staring at its beauty and want to get closer to the edge. Hi Snook. I find the sea very scary indeed. I think it’s not knowing what’s down there beneath the surface that does it. Give me mountains any day.